Great expectations you have there, I'd say! 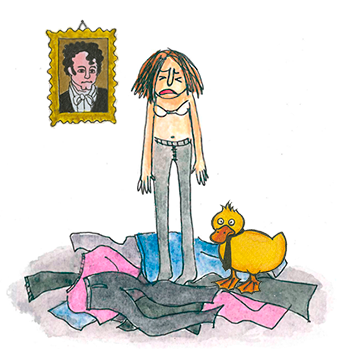 Darcy, ducks and trousers! A perfect combination of happiness, please accept my sincere congratulations on your sublime taste! I'm disappointed though that some of you are not loyal to spinsterhood (I hope at least the weddings are not in autumn) and even more disappointed that my fantastic suggestion (namely hanboks) to solve the great big trouser crisis torturing all of us is not really supported. Well. At least you like chips! 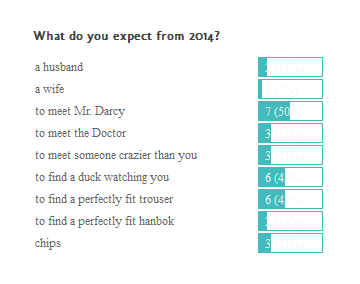 See you soon with new scenes from my amazingly adventurous life, until then, why don't you drown into the important question of ducks, trousers and good ol’ Mr. Darcy. 두 살 이에요! * EP is two years old! napiraiz #072 + Happy Valentine's Day!